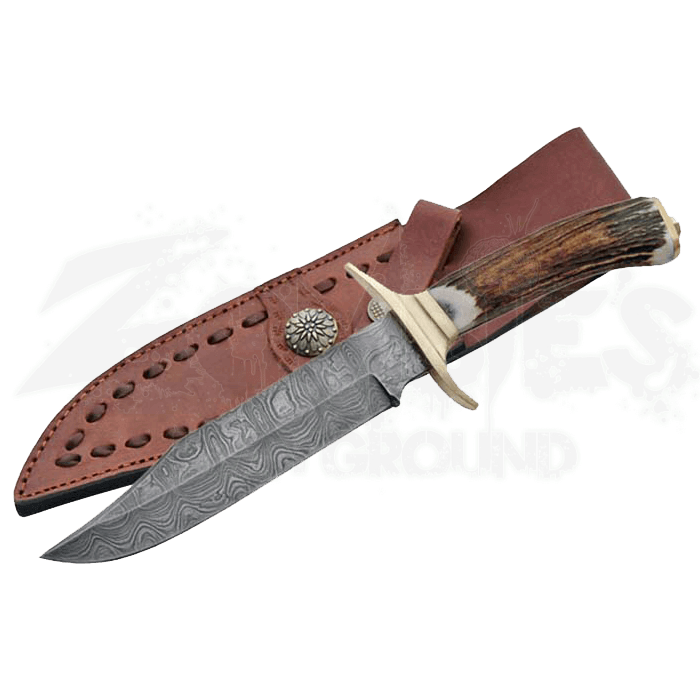 The Damascus Bowie features a stag horn handle and comes with a hand stitched leather sheath. The Damascus Bowie has an overall length of 11 inches and has a hand forged Damascus blade each with its own unique pattern. The knife has 180 to 360 layers with brass guard with a 6 inch blade. 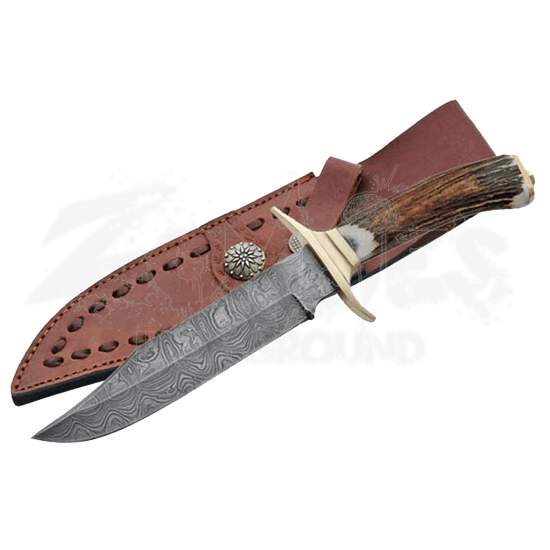 This bowie would make a great collection to your Damascus collection of knives or used as a hunting knife during season. Copyright © 2019 Zombies Playground. All rights reserved.